With a name like KitchenAlity, it would seem that bathroom design might not necessarily be on our radar. However, don’t let the name fool you. We are well-versed in both kitchen remodeling and bathroom remodeling, and we take immense pride in transforming the bathrooms of homeowners from Tampa to Lutz to Westchase and all other nearby West Central Florida communities. 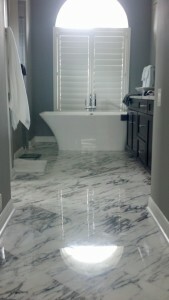 From bathtubs and showers to vanities, lighting, and flooring, we can do it all, and we’ll be pleased to serve you. For additional information about KitchenAlity and the brilliant bathroom design ideas that we bring to the table and can bring to life in your home, please contact us today for an in-home consultation with a member of our team. We proudly provide our bathroom remodeling services to homeowners residing in Tampa, Lutz, Westchase, and other FL communities in the area.